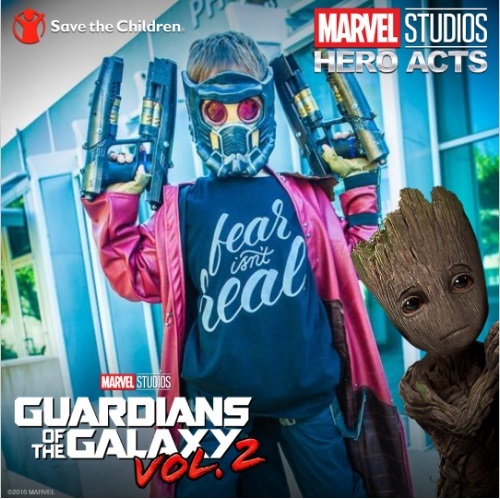 In October, Marvel Studios announced that they were working with Save the Children through their new Hero Acts initiative. Through Hero Acts, Marvel Studios would donate five dollars for every photo that was uploaded, up to a one million dollar donation. To this point, 19,098 people have participated for a total of $263,760. But that isn’t nearly enough, so Marvel Studios has raised the stakes. You can be a hero by simply taking or uploading a photo to the website (through Fotition) via the Hero Acts website. 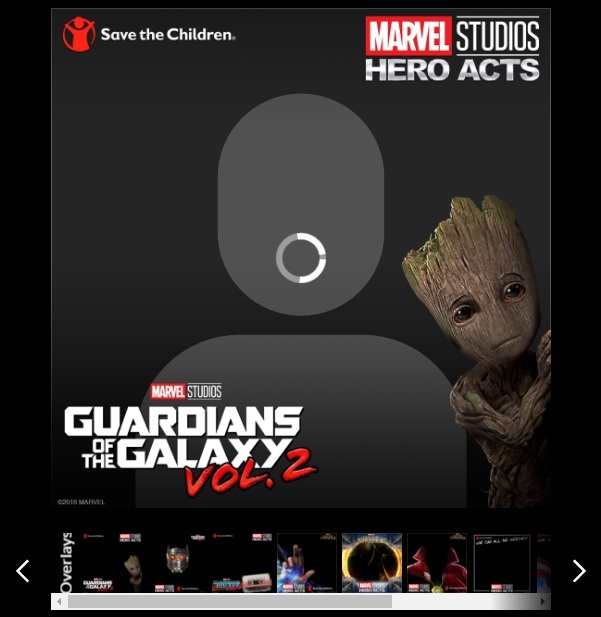 Once you choose a photo, you’ll have the option of adding a cool Marvel themed frame from Guardians of the Galaxy Vol. 2 or Doctor Strange etc. Your finished product means a $5 donation to Save the Children. But there’s more. Share the photo through the website via Facebook or Twitter, and Marvel Studios will donate an additional $15 for each share. Director James Gunn and actor Chris Pratt have also joined the effort with a very special prize: Every photo that you post through the Hero Acts charity will count as one entry toward an amazing prize – a trip for two to the Guardians of the Galaxy Vol. 2 premiere in Hollywood! A very worthy cause, Save the Children invests in childhood – every day, in times of crisis and for our future. In the U.S. and around the world, Save the Children gives children a healthy start, the opportunity to learn and protection from harm. Over the past year, Save the Children worked in 120 countries and helped more than 185 million children – including more than 62 million children directly. In just a couple of minutes, I uploaded a cool photo of my son in his Star-Lord costume, with a Guardians of the Galaxy Vol. 2 theme featuring Baby Groot. It’s very fast and easy. Take just a couple of minutes and you could help children from all over the world. Your finished photo will look something like this, and your share on social media will include a link where your friends can become heroes too. Shawn first got into the Marvel world when his Son Gavin was about 2 years old. Gavin and Shawn fell in love with everything Marvel related together. Now they attend numerous comic conventions each year, cosplay together and both love drawing pictures of super heroes. Shawn's favorite Marvel character is Captain America, and he loves being called "Captain".